If your car got broken into and the trim piece got jack up here's how to remove it without having to completely remove the dash! 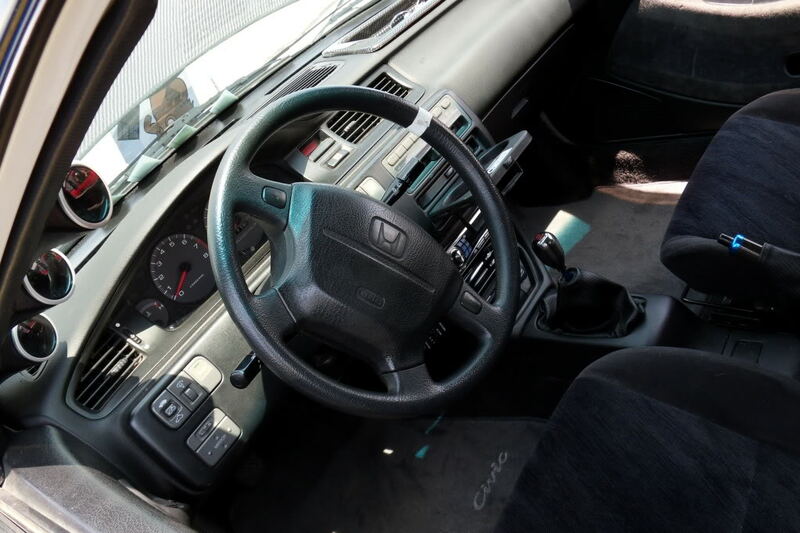 For starters, you have to be committed to take off the whole bezel (the thing that frames the heater control, cd player, and steering wheel. 1.Start by doing the easiest thing. Remove the cd player and the upper center console (the piece that has the coin tray and cig tray/lighter on it). 4. Remove the Gauge bezel (to do this pop out hazard button [it pops out], remove all screws. The bezel frame should come out. It's attached by clips and the screws you removed) Then unscrew the guage bezel and remve it. 5. Now for the second hardest part. Remove the heater control unit. (It's easy if you do it a lot, which I do, but whatever) You basically have to do yoga to get to the screws that hold the unit in. There are three screws. Two are near the front underneath. The other is near the back middle underneath. Once unscrewed, remove the metal wire (that controls the temp setting). Please don't bend it too much. Now you can pull out the unit. You removed the cd player, the heater control unit above that, the coin tray/cig tray/lighter piece below those, hazard switch, and guage bezel. Now that your dash it completely in pieces you can get to the damn screws that hold the main bezel to the dash. 6. There are 9 screws that hold the bezel on. I suggest to use a small mirror to find them before you go nuts. You had to remove all of those parts to get a screwdriver at the proper angle to remove them. Get a collection of phillips screwdrivers handy. Get a short one, long one, angled one, and kinds you can the get the right angle. Once you get all the screws you're done. If my memory serves me right, the dots are the locations of the screws. Please allow 2-3 hours to get this done if you have never removed these things. It will take a long time. But after the first time it will only take an hour next time. Feel free to ask any questions whenever. I would suggest for you to get a Chilton's manual or a cheap haynes manual to fit some pics of the insides. You acknowledge that I shall not be responsible or liable, directly or indirectly, for any damage or loss caused or alleged to be caused by or in connection with use of, or reliance upon, any such information, material, products, or services.